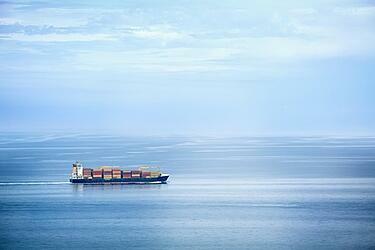 All documents, including the commercial invoice, ocean bill of lading, AES filing, etc. show the subsidiary company as the customer. The shipment is on the water and due to arrive in port tomorrow or the next day. The customer is asking us to correct the paperwork before the shipment clears customs. Is there any way we can correct the documents to show the correct customer at this point before it clears customs overseas? Our paperwork essentially shows the wrong customer! Any advice would be greatly appreciated. If the order was under an open account or cash in advance transaction, then the three step process provided below should be helpful. The order is under a letter of credit or documentary collection shipment. An export license was issued. If an export license was issued, there are additional issues to contend with that may require (internal and/or external) legal guidance. A foreign government agency or consulate stamped documents to verify that they were presented to them for additional certification. 1. Contact the carrier that issued the international bill of lading and ask them for the exact procedure for cancelling and reissuing the international bill of lading. This may include issuance of a letter by your corporate legal or director level officer indicating that you are holding them harmless for mis-delivery of the goods to an incorrect party. 2. Reissue the commercial documentation with the new name and forward them via courier to the designated individual at their specified address along with an original copy to the designated import broker and then email copies to all parties. 3. Amend the AES filing once you are sure that all of this is possible and they have validated the names, address, phone and fax numbers. This will take tight coordination and there will likely be additional expenses involved, which you may be able to bill the buyer. Good luck. Thanks for your help with our paperwork question. It's a good customer and we sold on credit. We normally require payment in advance. The product does not require an export license. Whew!! Our customer's forwarder actually handled the export details. We just forwarded the documents and requested verification. However, this was a shipment to Saudi Arabia and there was legalization, I believe, of the commercial invoice and certificate of origin. I guess one concern now is having enough time to legalize new documents. Also, I am wondering if there is any way to prevent the shipment from being released to customs until we correct the paperwork? If you have any more thoughts, let me know. I am relatively new to all of this so thank you very, very much for being willing to help. This is one of those shipments that will take some amount of time to manage, and it may not be a pretty result. The buyer's forwarder will need to be involved and may already be in communication with the buyer. As the buyer's forwarder, they should be able to help you and the buyer resolve the issues with the carrier, obtain expedited legalization of the documents, and instruct their counterpart in Saudi Arabia to hold the shipment for new documentation. 1. Obtain written instructions from all parties. 2. Provide written communication to all parties after conversations. 3. Write the communications as if you were writing to a dear great grandparent with full respect and without the use of any slang. 4. Be clear in the initial communication that the buyer is responsible for all related expenses for this correction and they are to be paid by the forwarder who will invoice the buyer. 5. Work with your international sales team and keep them involved in every step of this process as they may be able to assist. Remember that the advice I'm giving is without full or complete knowledge of the situation at hand, and there may be extenuating circumstances that should change the responses. Good luck. This article was first published in July 2011 and has been updated to include current information, links and formatting.